Can I review Ghostbusters without discussing gender roles? Is that even possible at this point? It has gotten so that the controversy is so connected to the film that it will live on far longer than the actual quality of its filmmaking would have allowed otherwise, just as was the case with The Interview, the comedy that brought threats of war despite being entirely forgettable. Ghostbusters was merely another in a series of franchise-reviving blockbusters, sanitized so much for modern audiences that it lacks the charm from the original. This has nothing to do with gender roles and everything to do with the artistic side of film being sacrificed in effort toward guaranteed financial success. In this reboot/remake of the 1980s classic, Feig brings his style of comedy and an abundance of modern technology, along with four female leads. This is an origin story for the gang, taking us through the predictable steps of their union. Dr. Erin Gilbert (Kristen Wiig) is a respected Columbia University professor trying to get tenure. This opportunity is threatened by the reemergence of a book that Gilbert once wrote about paranormal existence with her colleague, Abby Yates (Melissa McCarthy). The two of them get dragged into an investigation of the appearance of a ghost, unintentionally forming the group. 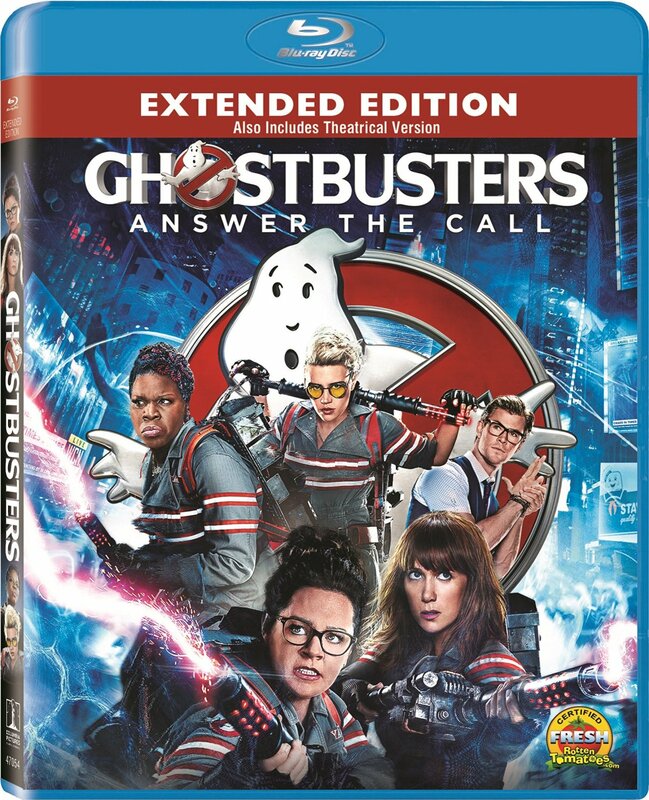 Yates brings along engineer Jillian Holtzmann (Kate McKinnon), and the gang is completed by MTA worker Patty Tolan (Leslie Jones), who just happens to witness a ghost and is allowed to join the group for the mere fact that she has access to a vehicle. They also hire a receptionist named Kevin (Chris Hensworth), whose ditzy qualities are played completely over-the-top in the film’s most obvious gender reversal role. There is far more focus on the comedy in Paul Feig’s Ghostbusters, though it is simultaneously less grounded in reality than the original version, mostly thanks to an over-reliance on CGI. The ghosts are one thing, but when the comedy relies on computer effects to accomplish moments of slapstick, it somehow feels like cheating. The physical comedy (with historical ties in cinema since the early days of silent greats like Chaplin and Keaton) being replaced by technicians on a computer is what makes the slapstick comedy of Ghostbusters feel far more lifeless than the ghosts made of CGI. Fortunately, there is a large portion of the film which doesn’t involve either ghosts or physical humor, allowing the actors to find the jokes in the dialogue. If only there were jokes in the script prior to filming, but instead of a great screenplay, Ghostbusters tries to rely on the improvisational style of its performers to insert humor. While occasionally these jokes land, there is a lot of pointless meandering in each scene just to get a couple of laughs. The art of a smart comedic screenplay feels lost in this process. I sincerely like these actors, but would rather watch them improve a good script with great performances than watch them chew the scenery in a desperate attempt for laughs that are missing in the screenplay. The one place I had expected the laughs to be more predominant actually left me rather disappointed. In an effort to bring forth the nostalgia from the original films (and possibly to placate some of the harsher critics), many of the original Ghostbuster cast members appear in cameos. Unfortunately, most of them are rather forgettable. Even the inclusion of Bill Murray in a small role is completely wasted. I had hoped for the greatness of his appearance in Zombieland. Perhaps I had set my standards too high, but the lackluster appearance of Murray was just an unfair reminder of how much better the original film was. It may seem like I am jumping on the bandwagon of hatred for this film. In all honesty, I was entertained. The extended cut of the film is overkill and the improvisational style of comedy became tiresome in many scenes, but the spectacle was impressive and some of the sequences were more memorable than the whole. All in all, it wasn’t deserving of the hatred spewed from the recesses of the internet, at least no more than a dozen other disappointing summer releases. And for the record, the female cast is not what made this film a failure, even if it is what kept an ignorant few from the theaters. The Blu-ray release comes with a Digital HD copy of the film, as well as two cuts of the movie. Along with the theatrical cut, there is also an extended cut with over fifteen minutes more. Apparently the first cut of the film was over 4-hours long, though this is likely because of improvised scenes. This should be clear by the fact that the special features only have 4 deleted scenes but there are 11 alternate scenes with variations in the jokes. There are also 2 gag reels and cutting room outtakes, just to cram more extra footage into the special features. More in-line with the traditional extras, there are also 5 making-of featurettes and two commentary tracks, including a director’s commentary with Feig joined by co-writer Katie Dippold.